Himachal Pradesh Electricity Board Limited is inviting prescribed application for 799 Vacancies. There are 799 Junior T-Mate & Junior Helper Vacancies. If you are interested and eligible also for HPSEB Recruitment 2018 through offline mode. The prescribed application form is available from 17th July 2018. Candidates can send their application before the last date 18th August 2018. In below section, you get all points of HPSEB Junior T-Mate Jobs. Read the full article for details of eligibility criteria, application fees, selection Procedure and other. HP Electricity Board has issued Notification for recruitment of 799 Junior T-Mate and Jr. Helper Vacancy. This is a good opportunity for candidates who are searching jobs in the state. Applicants are required to fill HPSEB Jobs Offline Form. The direct link to download HP Electricity Board Application Form is available at the bottom of the article. Those participants are interested and eligible are humbly request send their for before the last date 18.08.2018. How I Apply Application For Himachal HPSEB Recruitment 2017 ? Interested candidates must ensure that they are eligible or not for HPSEB Recruitment 2018. It includes details of education qualification, age limit and other information. So if you are going to apply for Junior T Mate & Helper Vacancy must check given below eligibility criteria. Candidates should be passed matriculation examination from recognized HP Govt. Preference will be given for candidates who do from ITI recognized from HP Govt. or National Basic Training. For more details check HPSEB Vacancy Notification, which is mention below. Candidates minimum age is required 18 years for HPSEB Recruitment 2018. Maximum age should not be more than 30 years. Upper age relaxation is applicable as per govt. terms and conditions. For more information check the official advertisement mention below. Candidates selection will be made on the basis of their educational qualification. Candidates who get 60% marks according to their marks in Matric. While 25 marks reserved for ITI Diploma. Remaining 15 marks will applicable for the backward class category. For more information check HPSEB Vacancy official notification. Selected candidates will receive an attractive Salary. Applicants will receive Rs. 7175/- Per Month. Interested and eligible candidates may apply through offline mode. Here our team mention, some easy steps to fill HPSEB Junior Helper Recruitment 2018. First of all official site hpseb.gov.in. Download HPSEB Junior T Mate & Junior Helper Vacancy. Read full notification carefully to check your eligibility. Now Download Application Form of HPSEB Job from below link. Fill it with required details like personal, educational details perfectly. Paste photograph and signature in appropriate place. Duly filled application form along with required documents send to given below address. Chief Engineer (Operation) Central Zone, Mandi . Chief Engineer (Operation) South, Shimla. Conclusion : HPSEB Recruitment 2018 for 799 Junior T Mate & Junior Helper Posts. The application form is available from 17.07.2018. Last date of apply online for HPSEB Junior T Mate Vacancy is 18.08.2018. Read fthe ull article carefully. Himachal Pradesh State Electricity Board Limited has issued a recruitment advertisement for 100 Junior Helper Vacancy. Candidates who are interested in HPSEB Recruitment 2017 should apply application form through offline Mode. Applicants can submit the HP Electricity Board Recruitment Application on or before the last date 20.10.2017. Himachal Pradesh Electricity Department is inviting application for those candidates who are looking HPSEB Junior Helper Jobs. This is great opportunity for all the candidates who are waiting fro Himachal Electricity Department Vacancy 2017. Eligible candidates can apply application for HPSEB Jobs before the last date. For more details about HP Electricity Board Helper Vacancy check given below details. Education Qualification For HPSEB Vacancy 2017 : Candidates should have passed 10th Class or equivalent Qualification from recognized Board For HOPSEB Helper Jobs 2017. Preference will be given for those candidates who have done ITI in Fitter Trade from recognized Institute for HP Electricity Board Vacancy. Age Limit for HPSEB Junior Helper Recruitment 2017 : Age of the candidates for HPSEB Recruitment 2017 should be 18 years & Upper age must be 30 years as on 01.01.2017 for Himachal Pradesh Electricity Board Jobs. Age relaxation is applicable 05 years for SC/ST/OBC Category candidates & for PWD/ESM candidates relaxation will be applicable as per Department rules For HP Electricity Board Vacancy 2017. 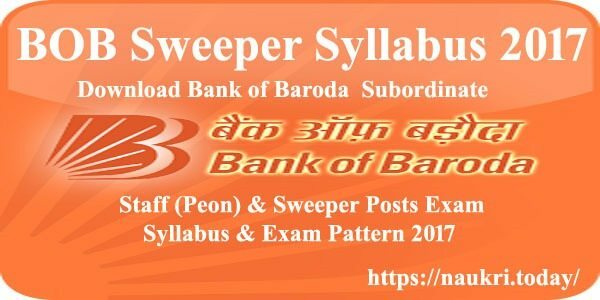 Pay Band for HPSEB 100 Junior Helper Jobs 2017 : Selected candidates will be paid Fixed Contractual Remuneration Rs. 6,200/- per month for HPSEB Vacancy 2017. 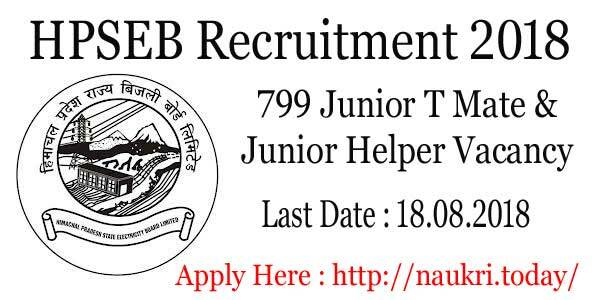 HPSEBL Recruitment 2017 Application Fee : Those candidate who are belonging to General Category need to pay Rs. 100/- for HPSEB Vacancy 2017. SC/ST & Other Reserved category candidates should be paid Rs. 50/- for HP Electricity Board Application Form. Exam fee should be paid through Bank Draft or through Indian Postal orders in favour of “Accounts Officer (Bankingr), HPSEBL, Vidyut Bhawan, ShimJa-171004”. Selection Process for HPSEB Jobs 2017 : Selection of the applicants for HPSEB Recruitment 2017 will be on the basis of Qualification & Personal Interview. For More Details About Interview date & Call Letter check here. keep visit this page for HPSEB Helper Jobs Future update. First of all candidates log in official website at www.hpseb.com. Then should search “HPSEB Recruitment 2017 – Notification “ and click on it. Applicants read all details carefully. If you are eligible than Download Prescribed Application form. Fill all information without any mistake. Affix you pass port size photo properly. 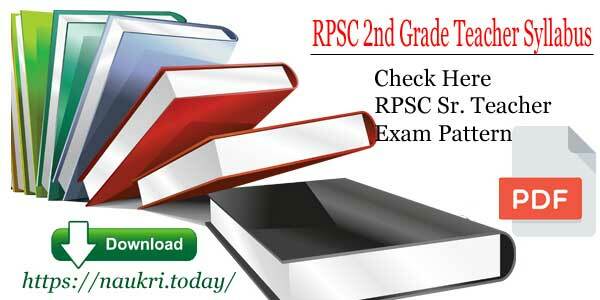 Attach your matrix certificate, certificate of IIT and SC/ST/OBC/ BPL certificate on form. Recheck all details after filling registration form and then send you hard copy below given address. Certificate of ITI Fitter Trade only. Conclusion: Himachal HPSEB Recruitment 2017 For 100 Junior Helper Vacancy. Candidates should apply application form for HP Electricity Board Helper Vacancy on or before the last date 20.10.2017.